Our Brombal pivot doors are designed to accommodate oversized openings by utilizing a high quality concealed floor closer. We can fabricate doors in excess of 2,000 lbs with virtually any height or width based on the closer used. Combined with our thermally broken section, these doors are extremely energy efficient while meeting the most stringent design requirements. Pivot doors can be fabricated as French doors, with sidelights, transoms and multiple configurations as desired. 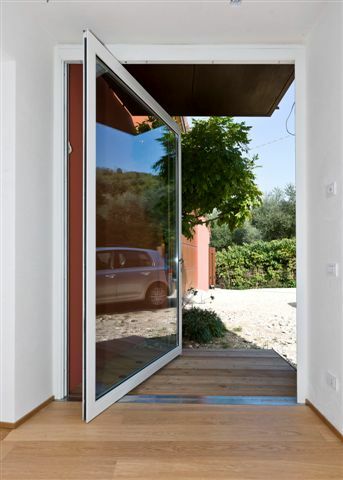 All of our pivot doors are made specifically for each opening. The height and width of each panel is determined by the style and layout of the unit. Please contact us to discuss the details of your project. Brombal can fabricate pivot doors using any floor closing system. Each closer is selected based on the size and configuration of your unit. All of our units are shipped without glass, which provides great flexibility for the selection of glass based on your specific site needs. We work with the largest glass vendors in the country to provide the most energy efficient solution. Some of the vendors we work with are PPG, Cardinal, and others. 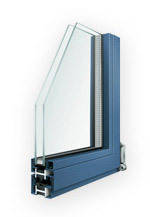 Please visit our FAQ section for more information on glazing.